The independent company of project managers and cost consultants focuses on delivering schemes across two primary markets - industrial/distribution and commercial mixed-use. Directors Kevin Sims and Mike Wilcock set up KAM in 2013 after 30 years of working together on a range of high-profile clients at an international consultancy. Since then they have been joined by seven directors to take the business forward on to the next stage of its growth cycle. The company now has a 34-strong team across its offices in Milton Keynes and Leicester and an impressive array of clients including GLP Gazeley, Bericote, Panattoni, Sainsbury’s and DHL. Sticking to its company mission statement - ‘One Team Delivering Excellence’ and working with the wider project team, KAM team members always strive to deliver exceptional results for clients. This ethos combined with the diverse calibre of expertise in the KAM team, is the reason KAM has experienced significant expansion and the company was listed in the top three of the 150 fastest growing companies in Building magazine with 64% growth and a 40% increase in staff in just the last year. The company is continuing its expansion plans and its current recruitment drive is focusing on cost managers for both of its UK offices. Projects in mainland Europe are also a possibility in 2019. “Five years ago Mike and I set up our new venture with a lot of hard work and hope. Our vision was to build a project manager/quantity surveyor (PM/QS) business that puts customers at the forefront of everything it does. 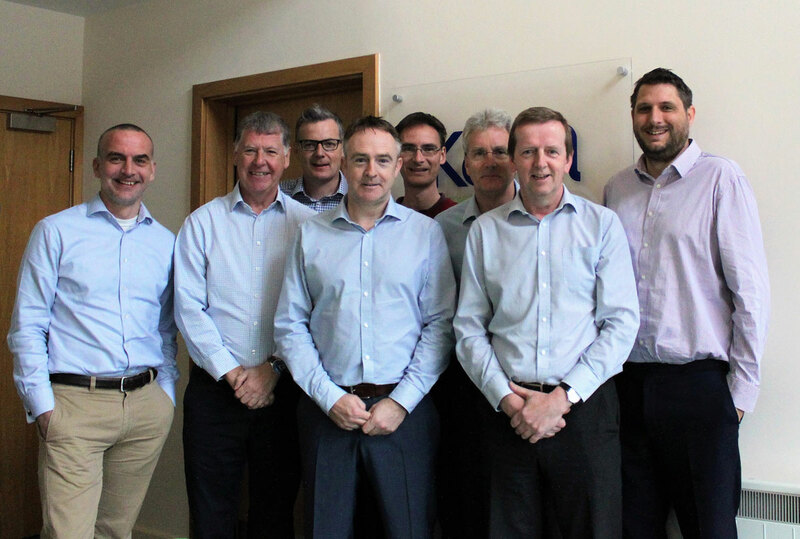 “Since then, along with many other dedicated and talented individuals, KAM has grown into the company it is today – the premier PM/QS business in the industrial and logistics sector. “Our success is derived from exceptional hard work across the team and delivering high quality recruits. We pride ourselves on developing long lasting relationships and ensuring customer satisfaction throughout the delivery of every project. Significant schemes that KAM is currently working on include multiple sites for Panattoni, Bericote’s Littlebrook development, Clipper Logistics’ new warehouse in Crick for Halfords, and a multi storey distribution centre in central London for GLP Gazeley.